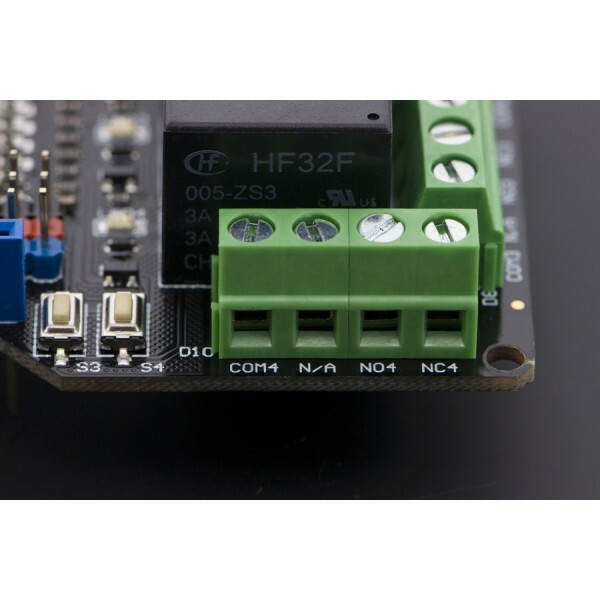 One of the most interesting projects for your boards is perhaps being able to control High power devices like Lamps, water pumps, garage doors and so on. But interfacing with high power and AC is quite a dangerous task when building the circuitry. Relays allow for interfacing an external electrical circuit like a switch. 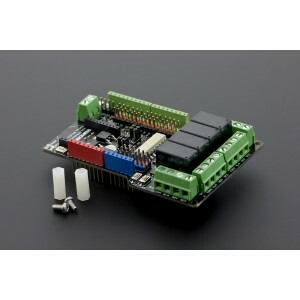 With relays you can now connect external circuit or devices directly to your Arduino. 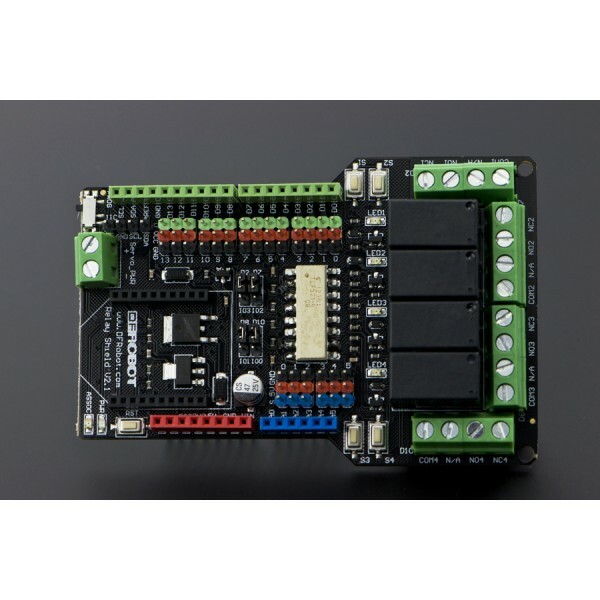 DFRobot Relay Shield V2.1 is a completely new design which is capable of controlling 4 relays at a time. 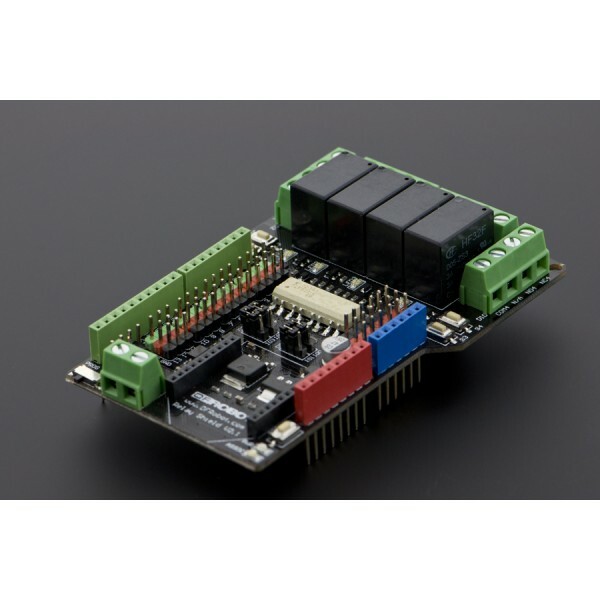 The max switching power DC 90W or AC 360VA gives direct control by Arduino/DFRduino controllers through digital I/Os with external 9V supply. 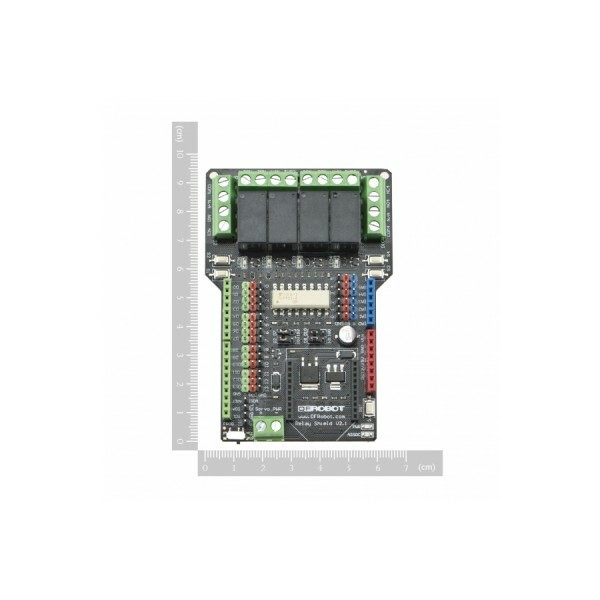 With built-in Xbee socket, it can be wireless remote controlled via Xbee/bluetooth/WPM.